A selection of some of our converted bikes. 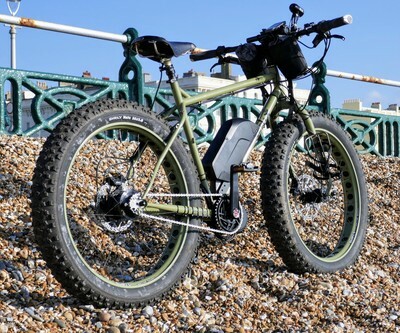 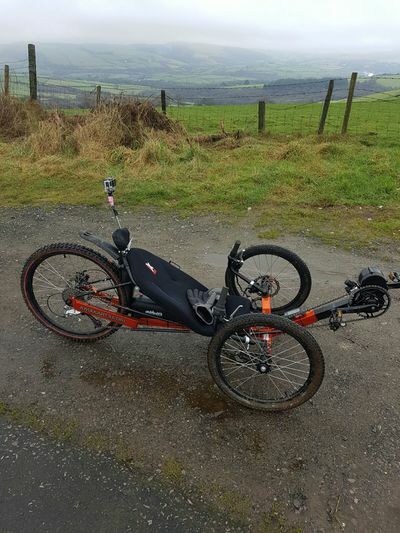 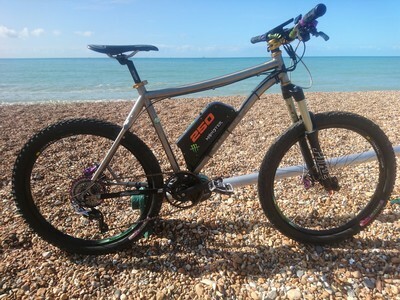 On-One Inbred fitted with Bafang BBS01 250W mid-drive motor and Brighton E-bikes 10.4Ah Samsung cell battery. 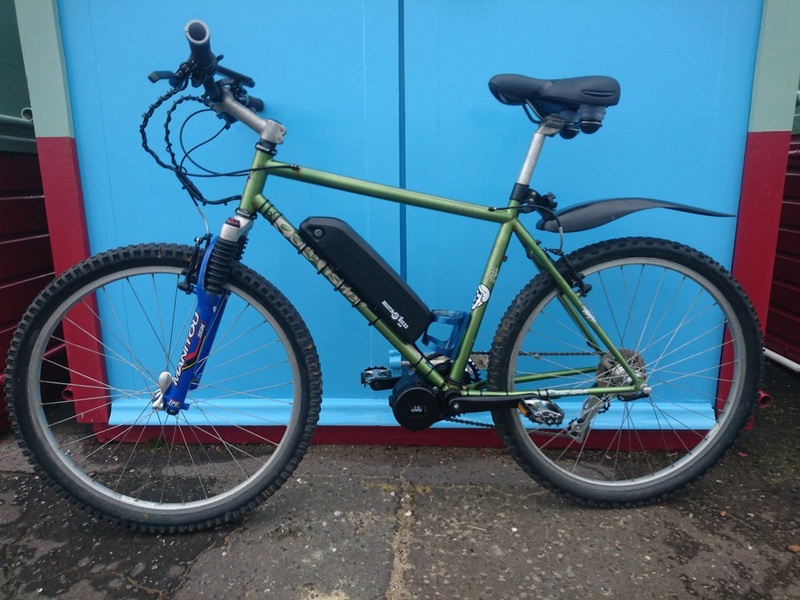 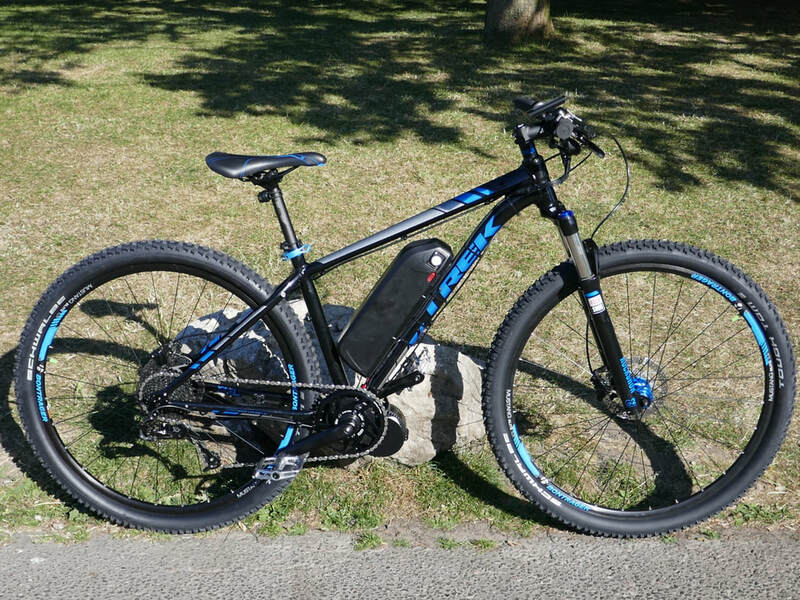 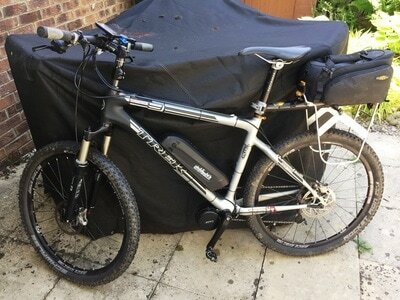 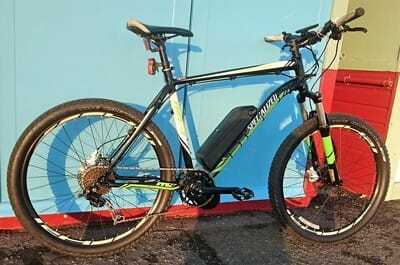 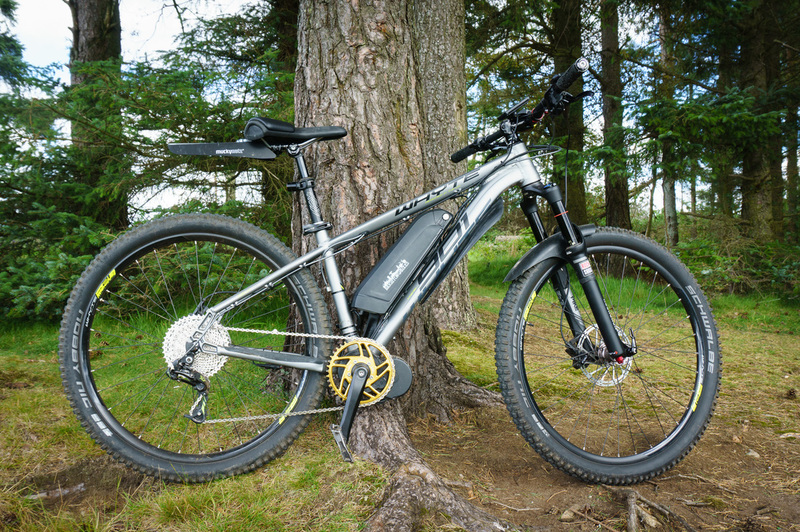 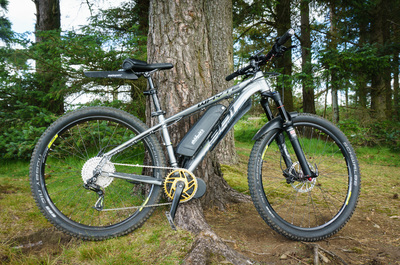 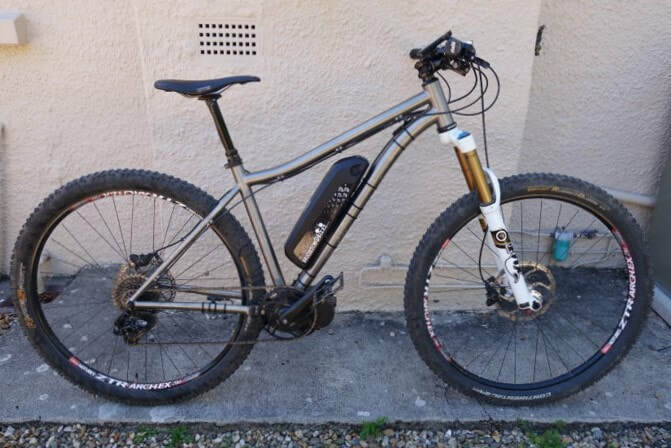 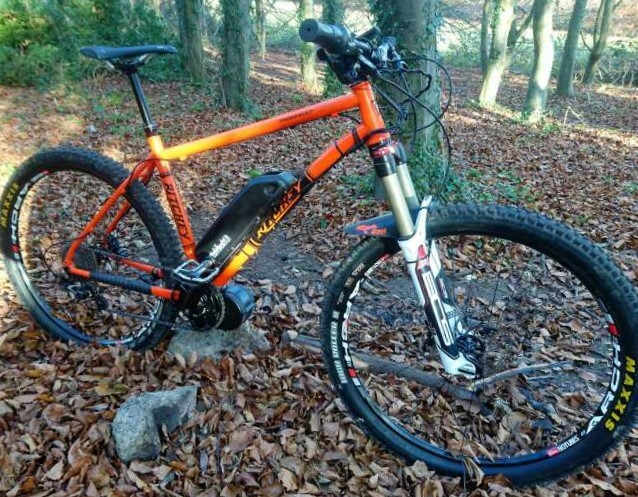 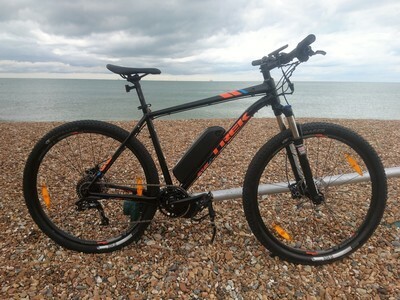 Norco Charger 7 fitted with Bafang BBS01 250W mid-drive motor and Brighton E-bikes 10.4Ah Samsung cell battery. 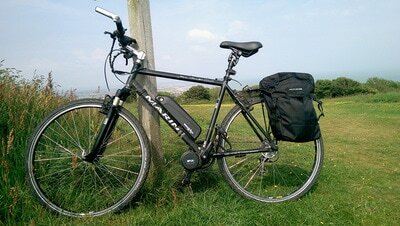 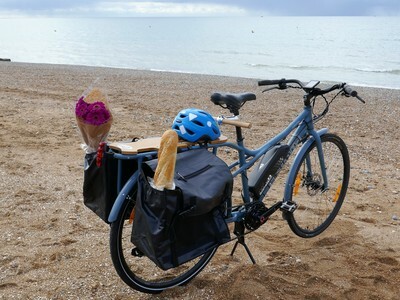 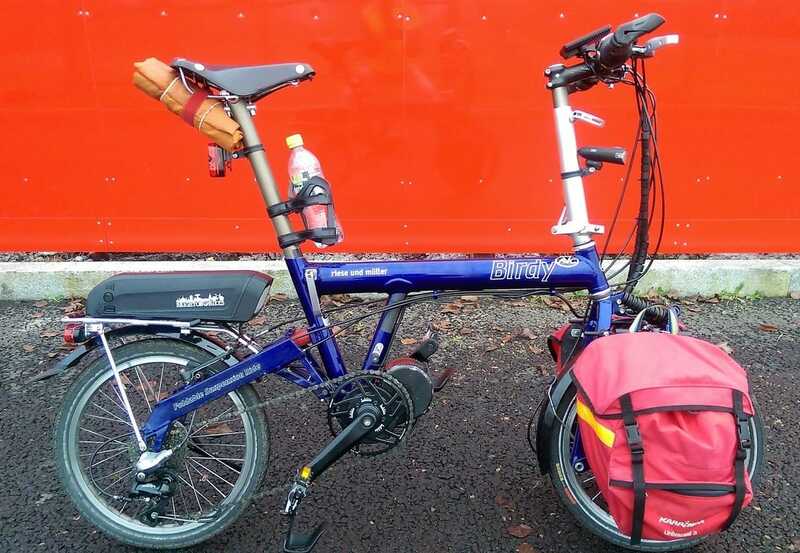 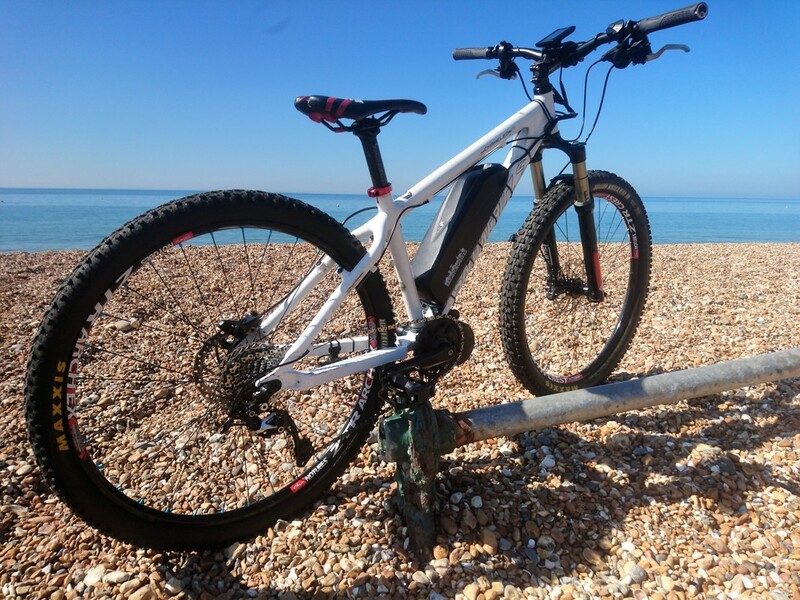 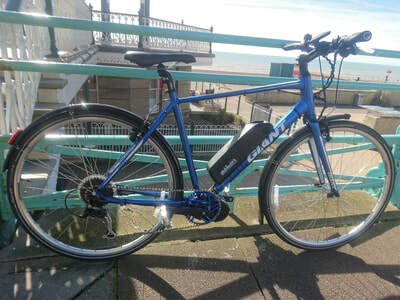 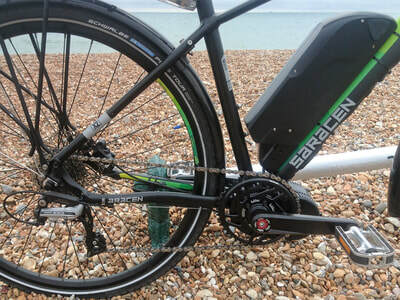 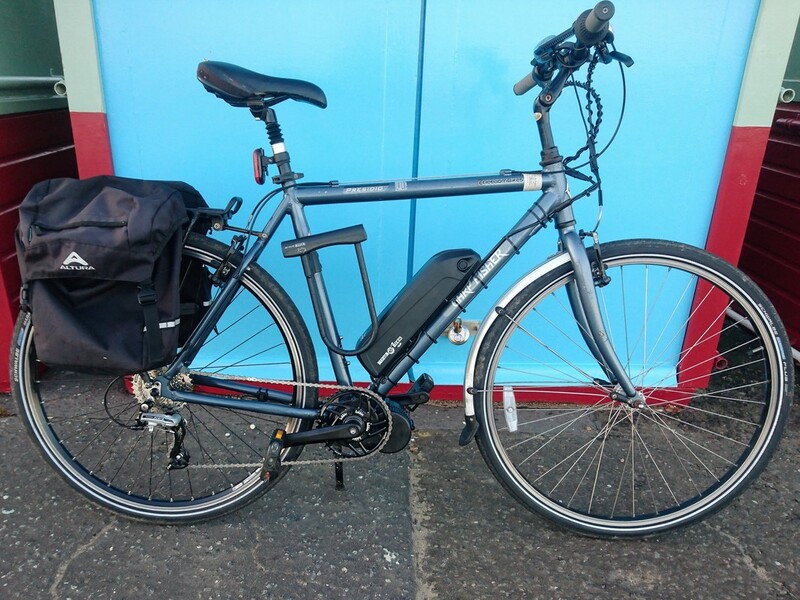 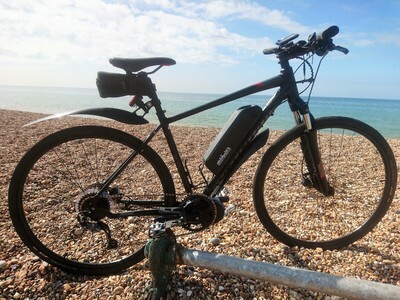 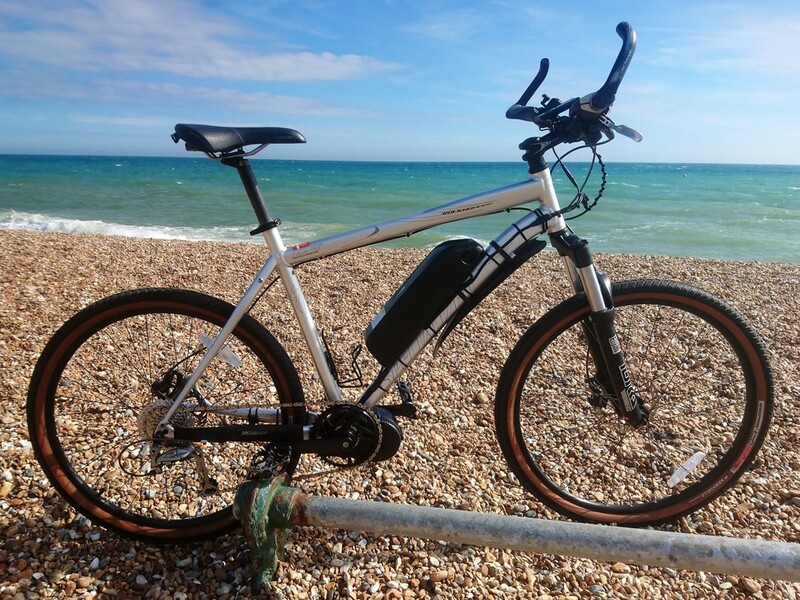 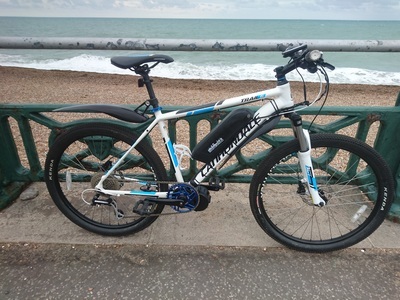 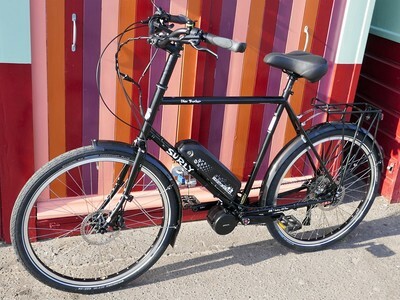 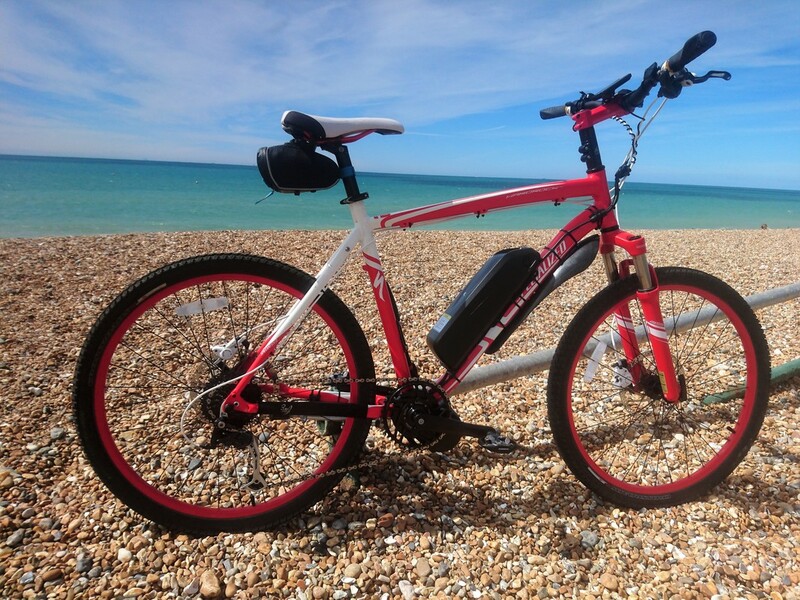 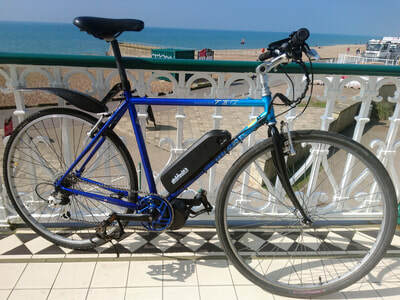 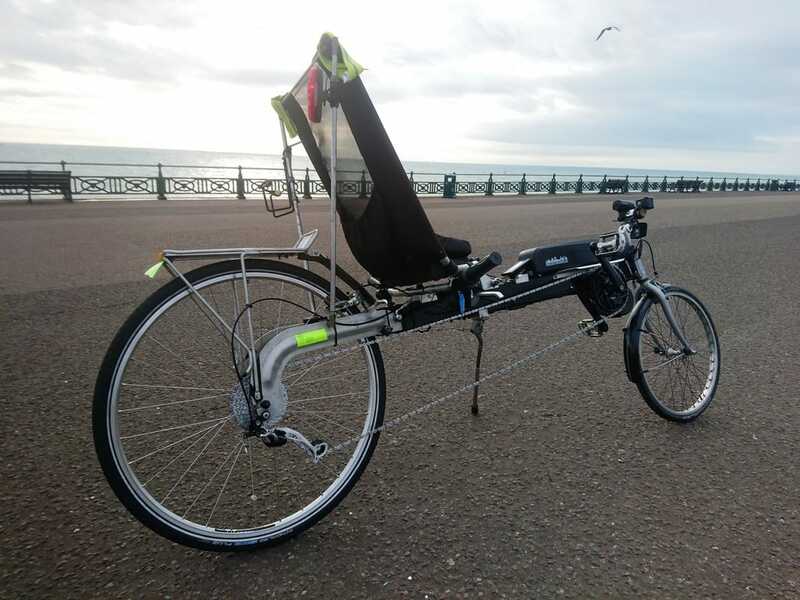 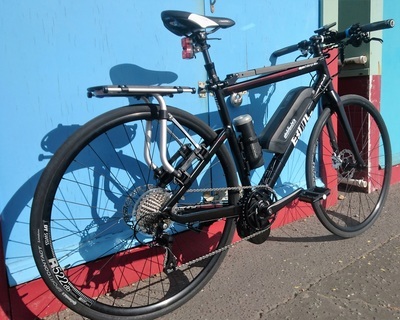 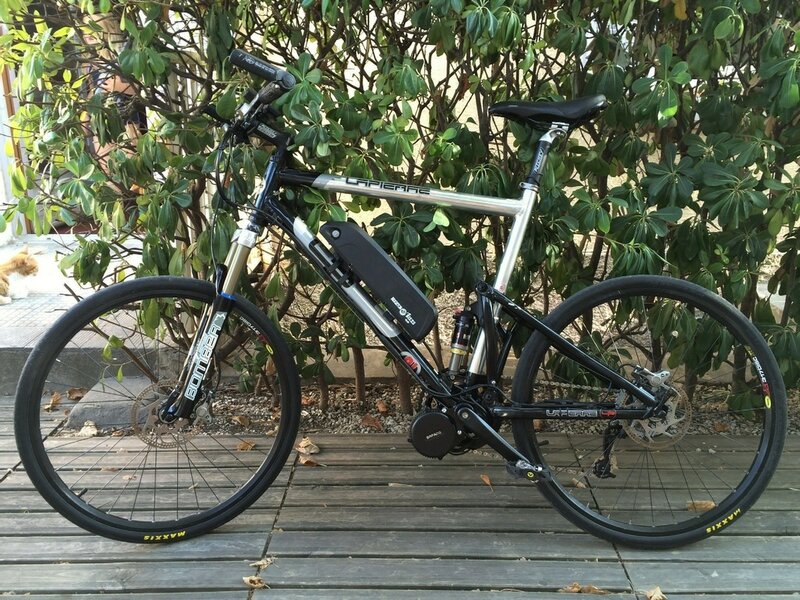 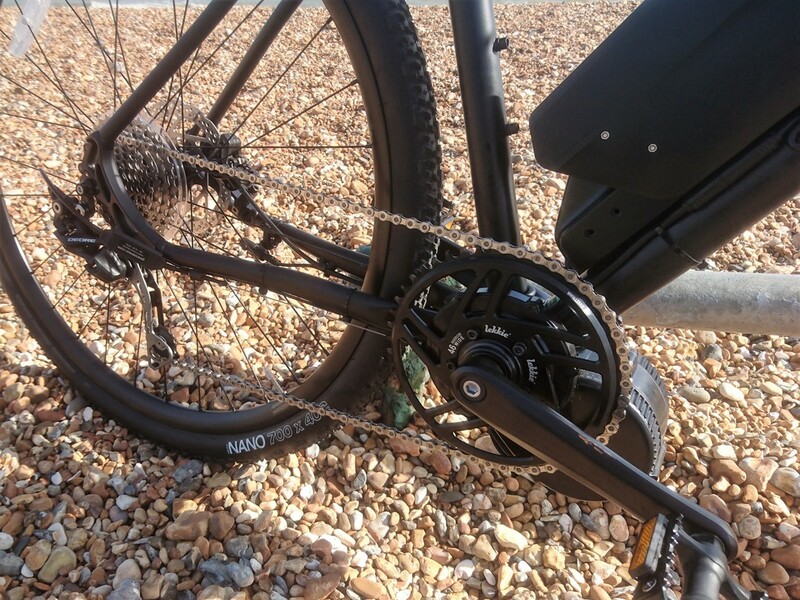 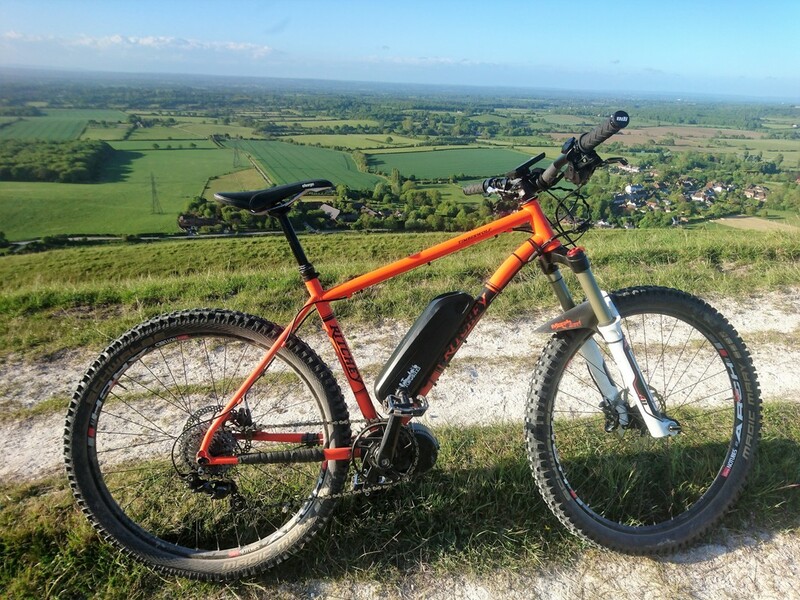 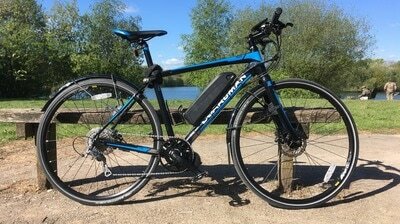 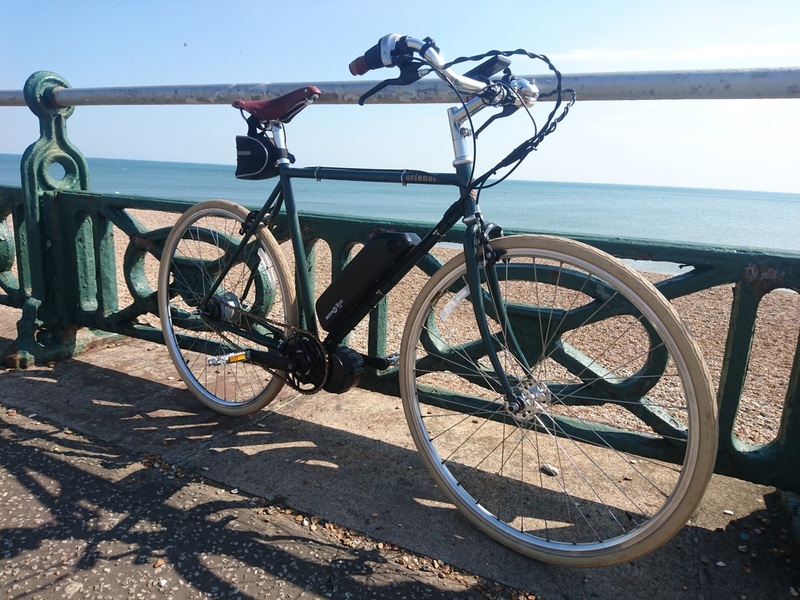 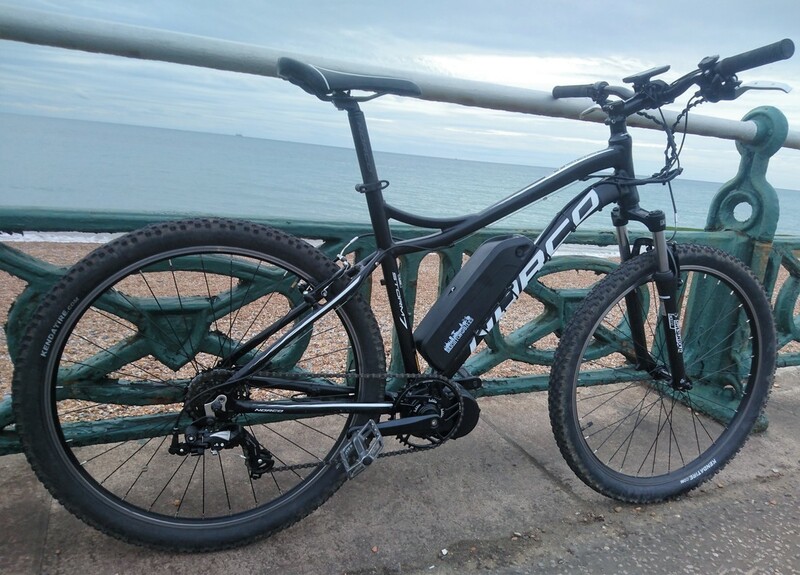 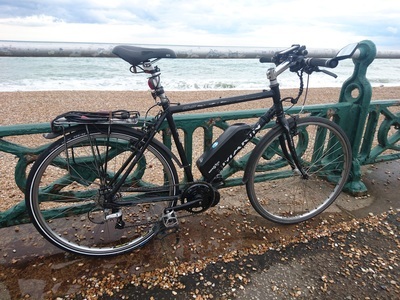 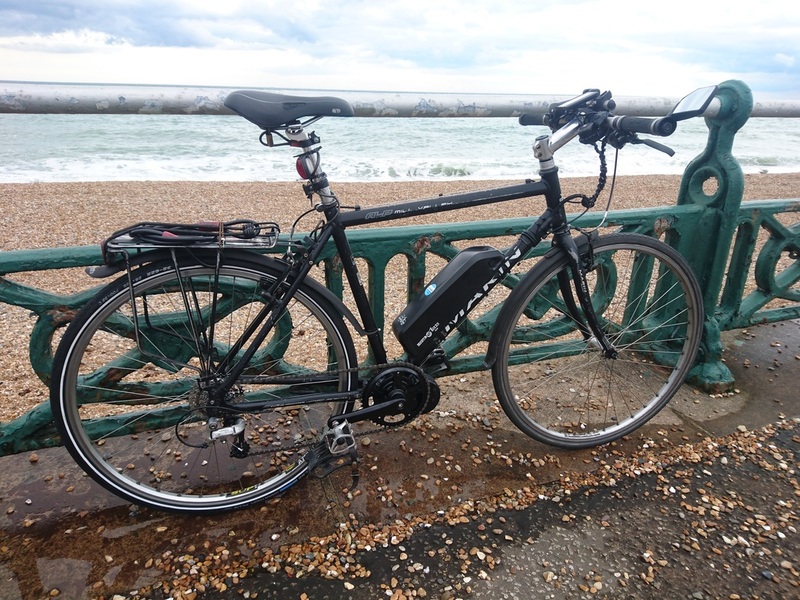 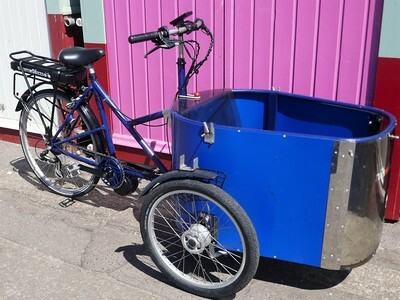 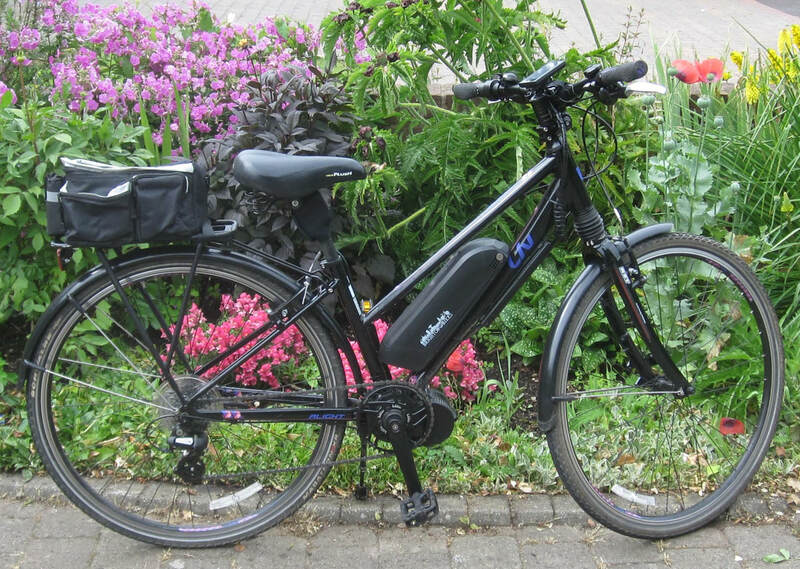 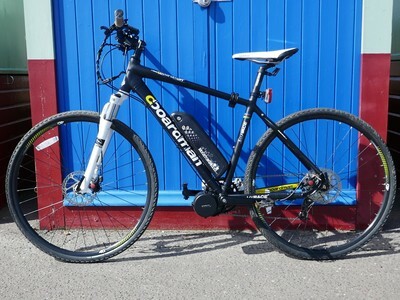 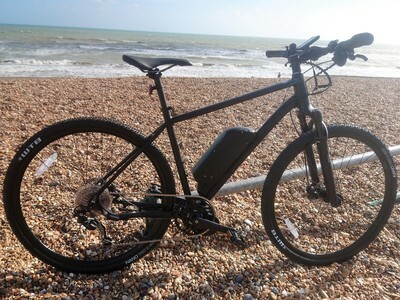 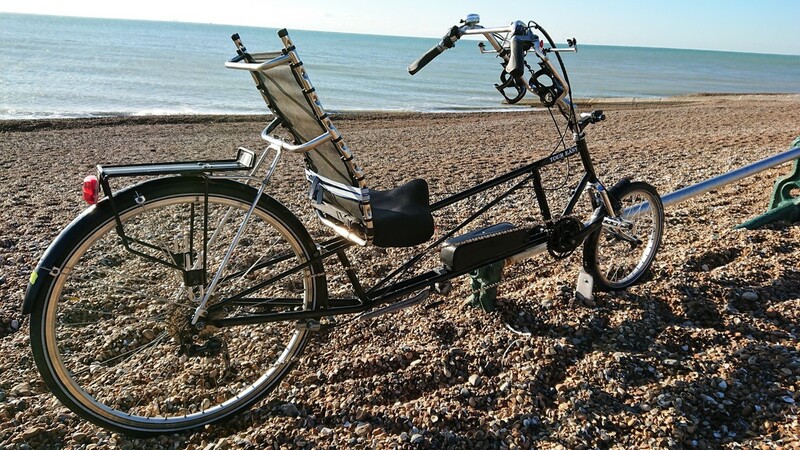 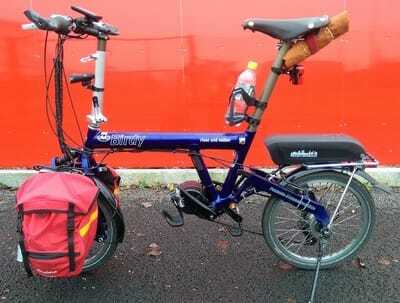 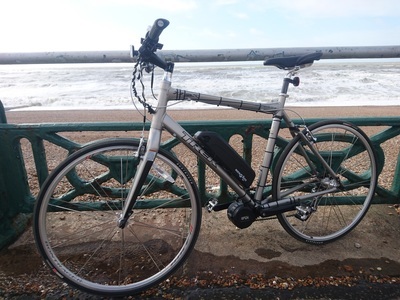 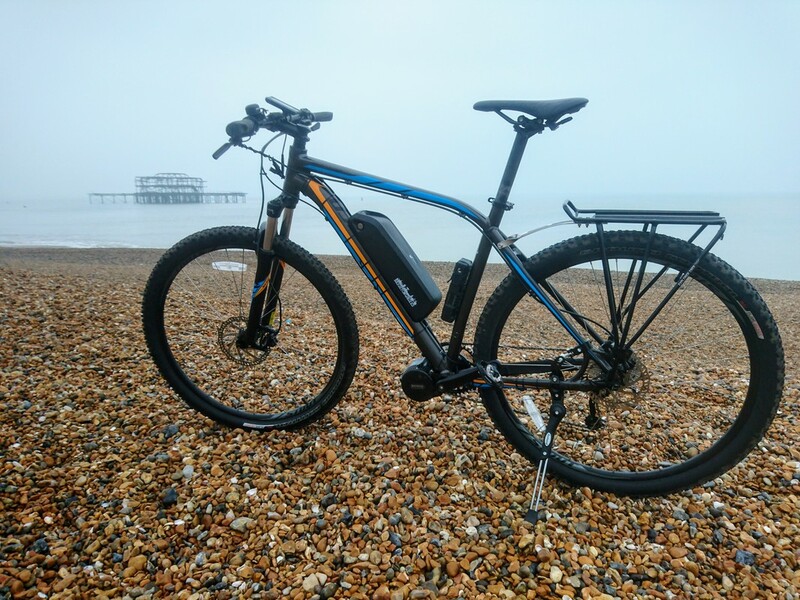 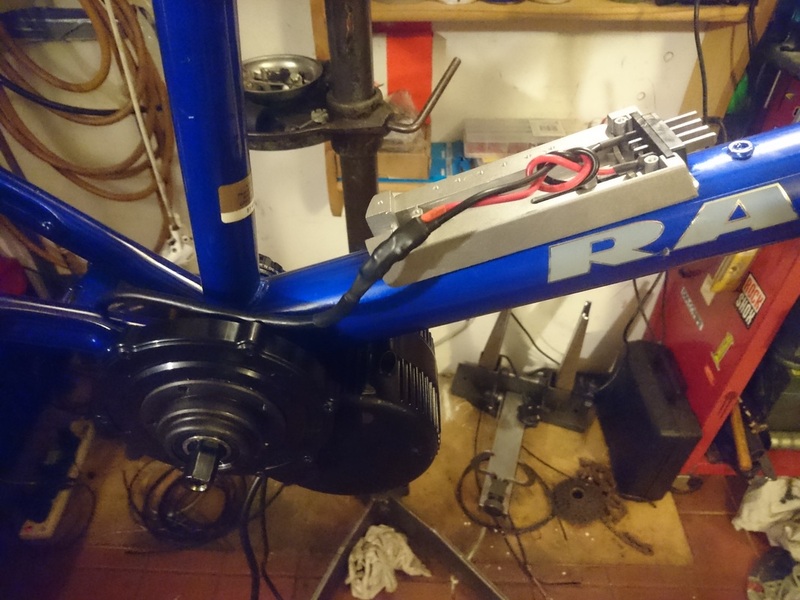 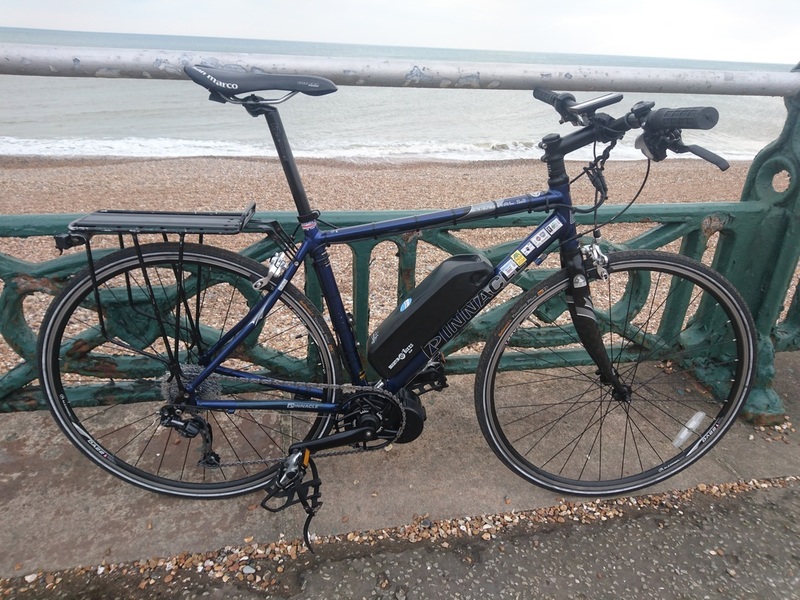 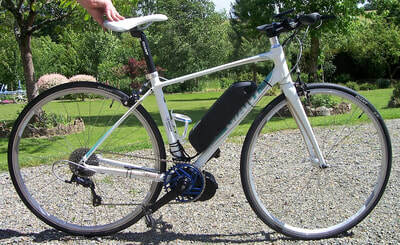 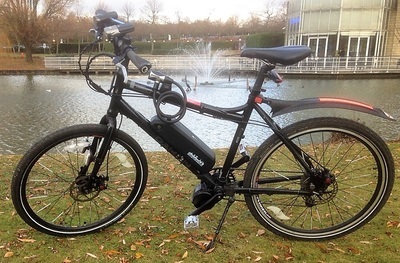 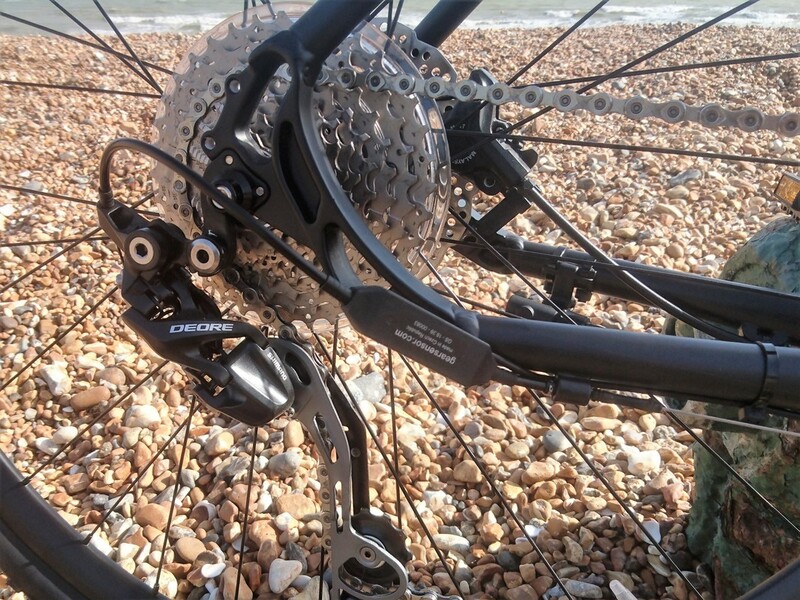 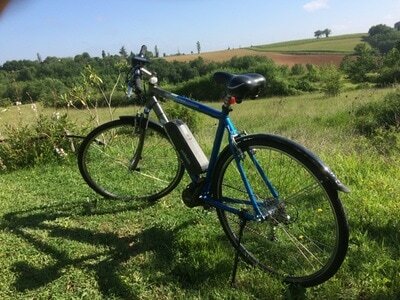 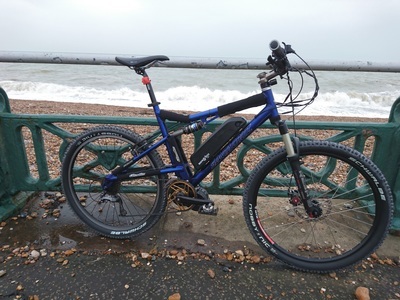 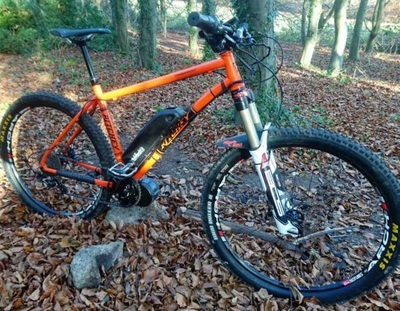 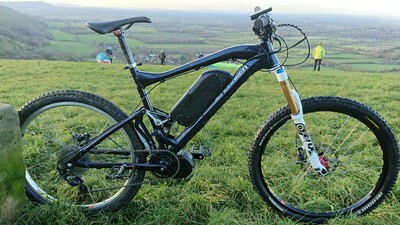 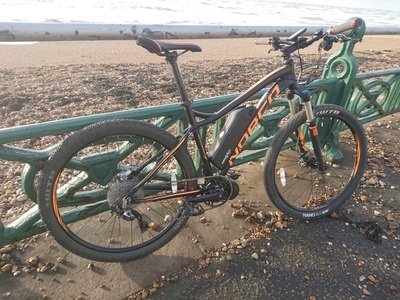 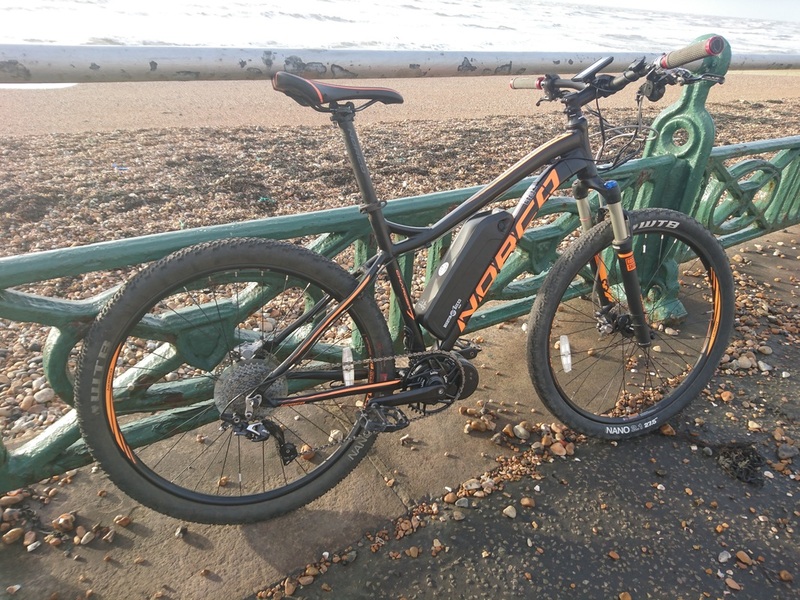 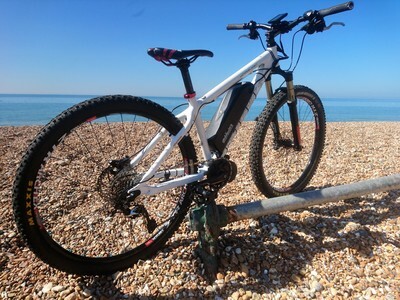 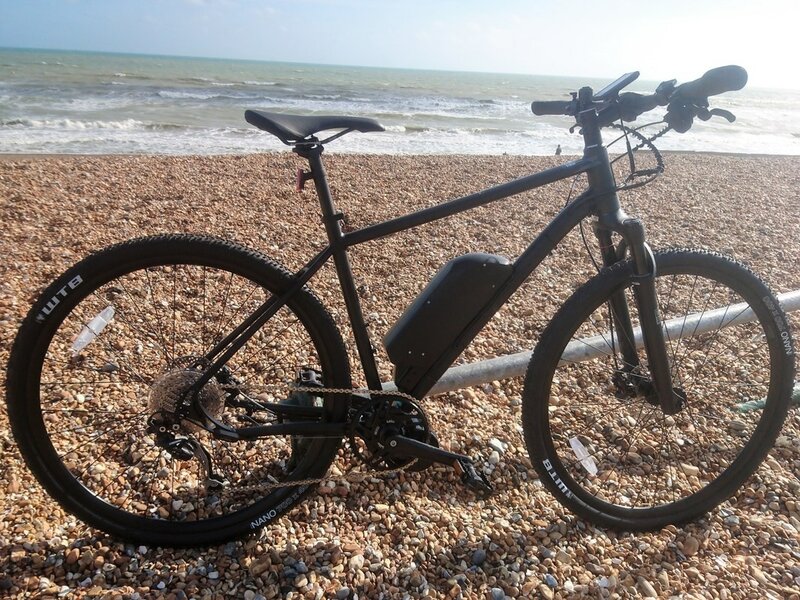 Orlandi fitted with Bafang BBS01 250W mid-drive motor and Brighton E-bikes 10.4Ah Samsung cell battery. 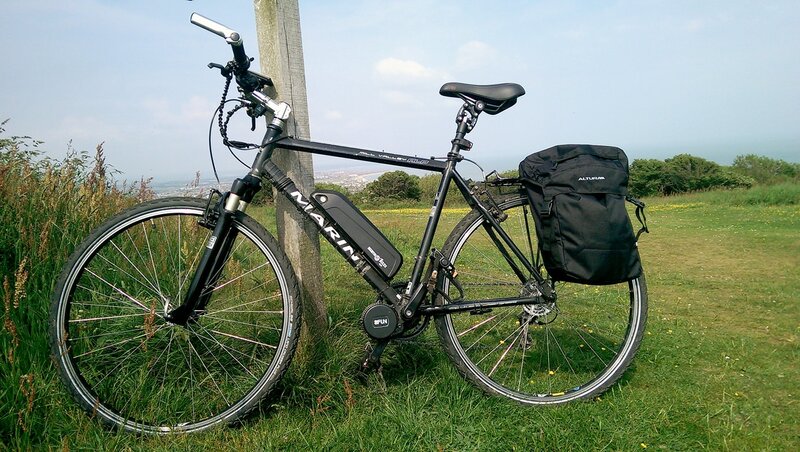 Raleigh Max fitted with Bafang BBS01 250W mid-drive motor and Brighton E-bikes 10.4Ah Samsung cell battery. 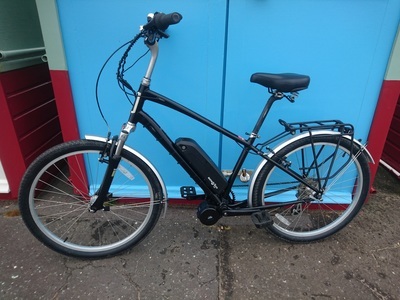 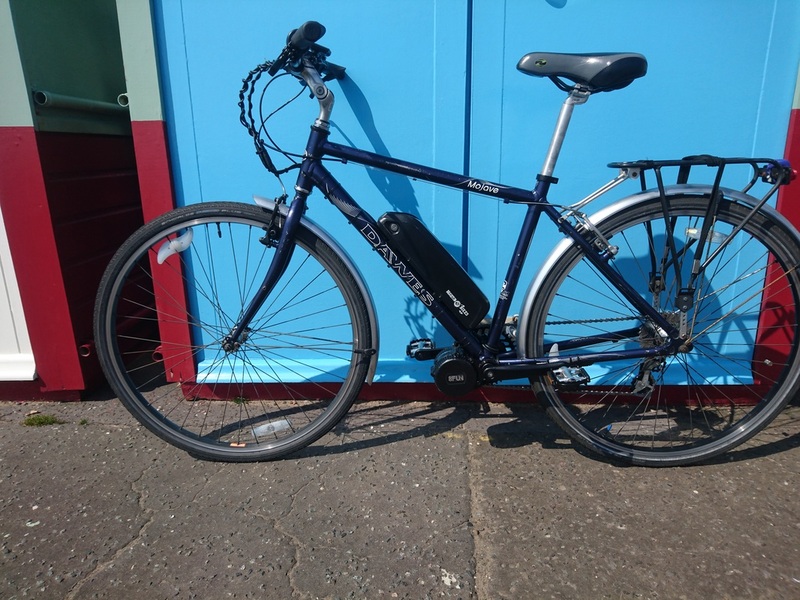 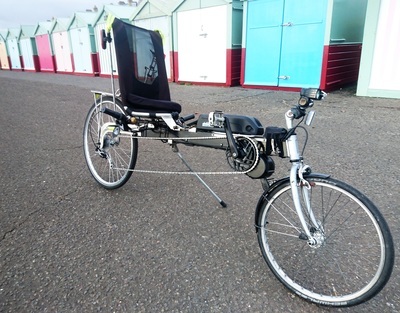 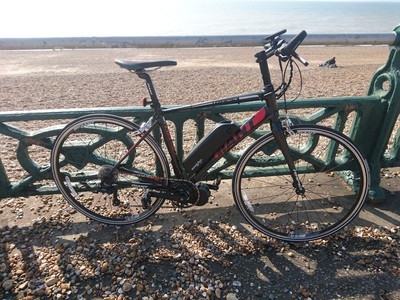 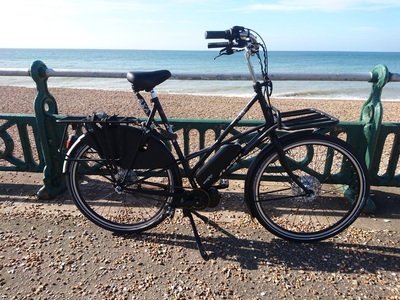 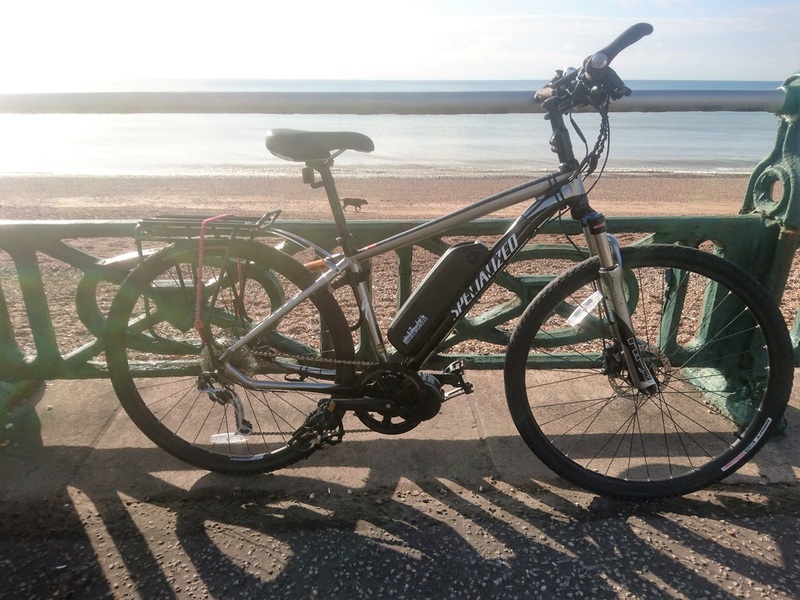 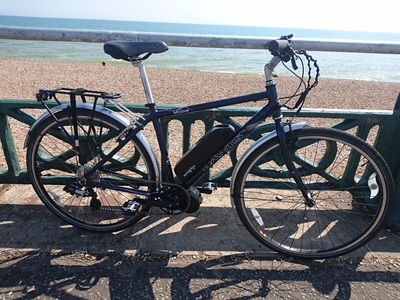 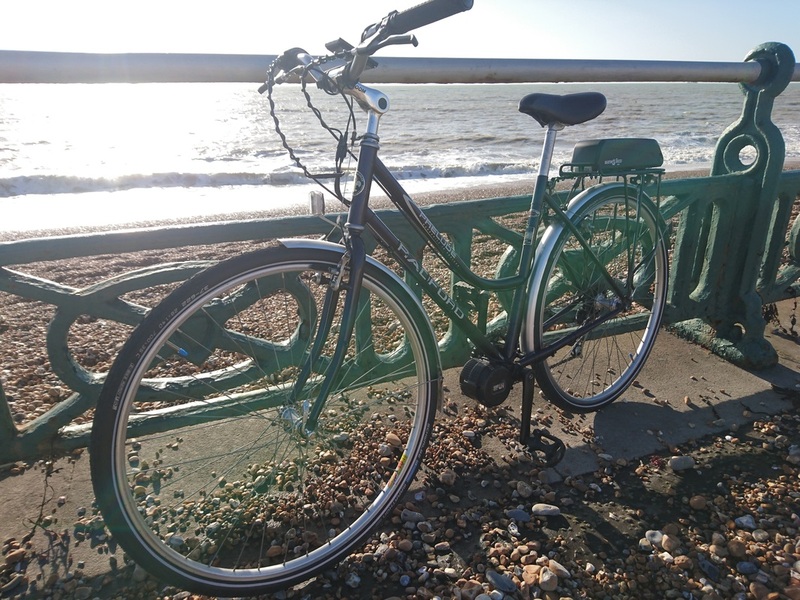 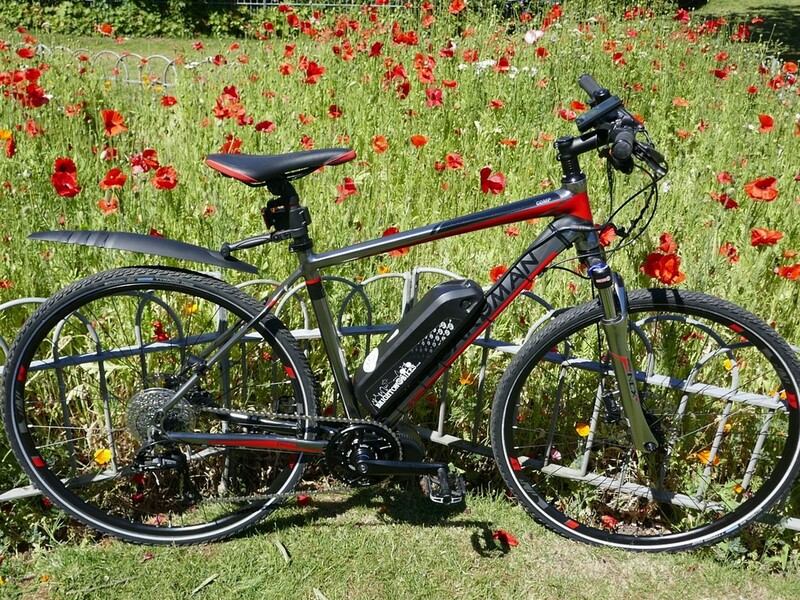 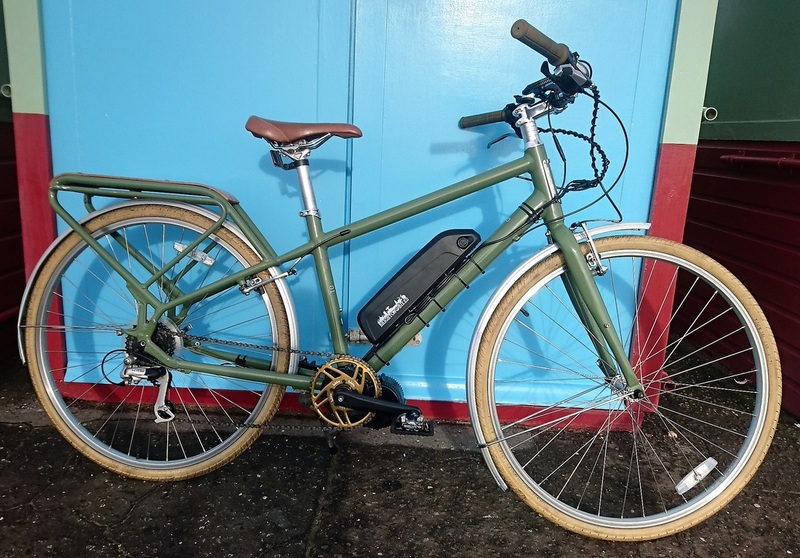 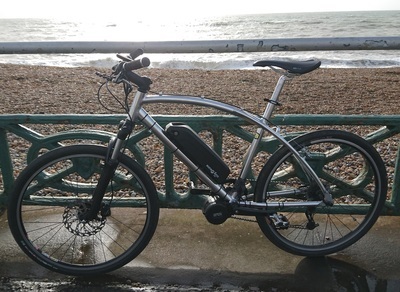 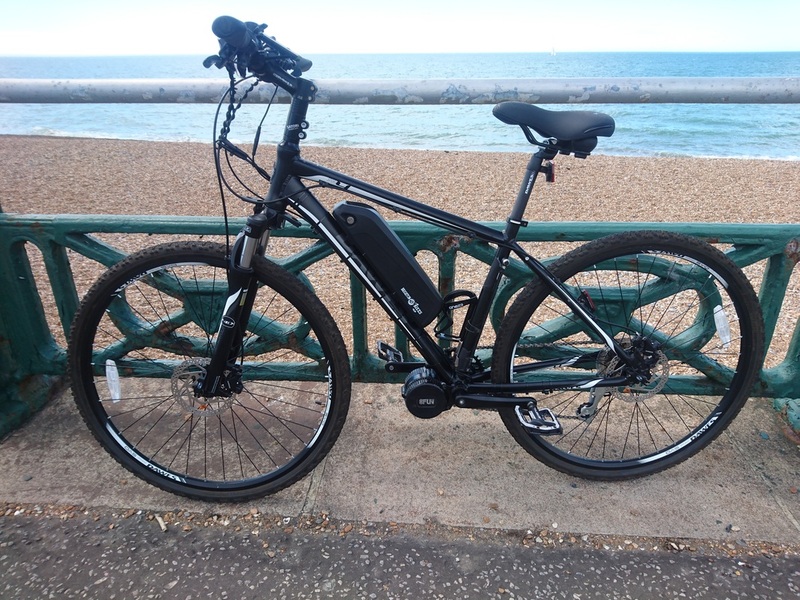 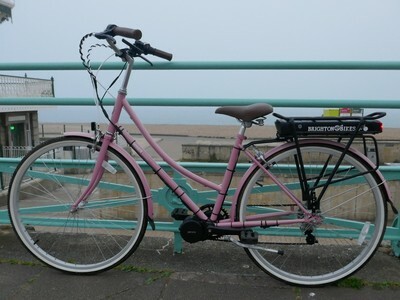 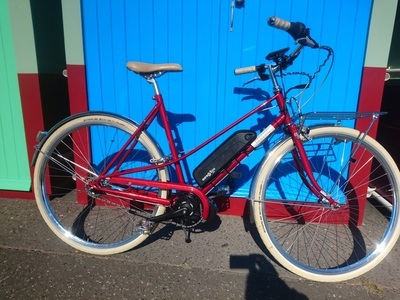 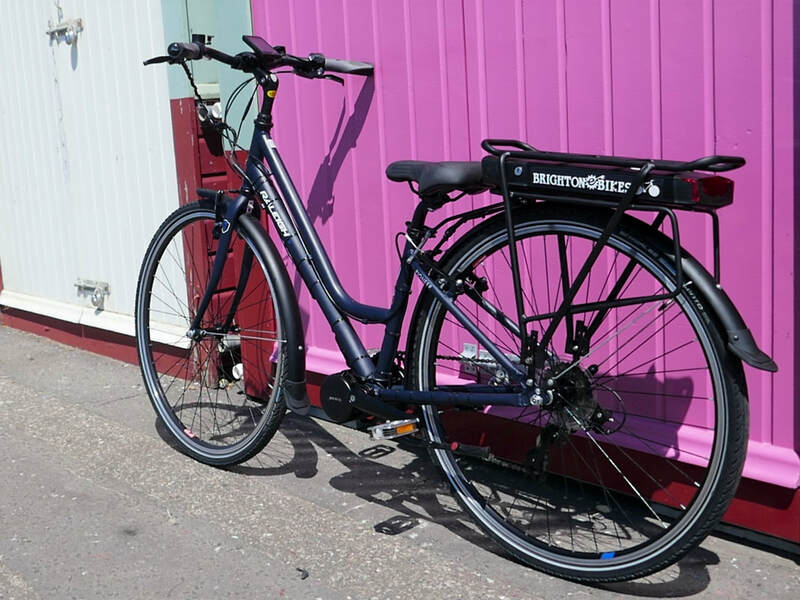 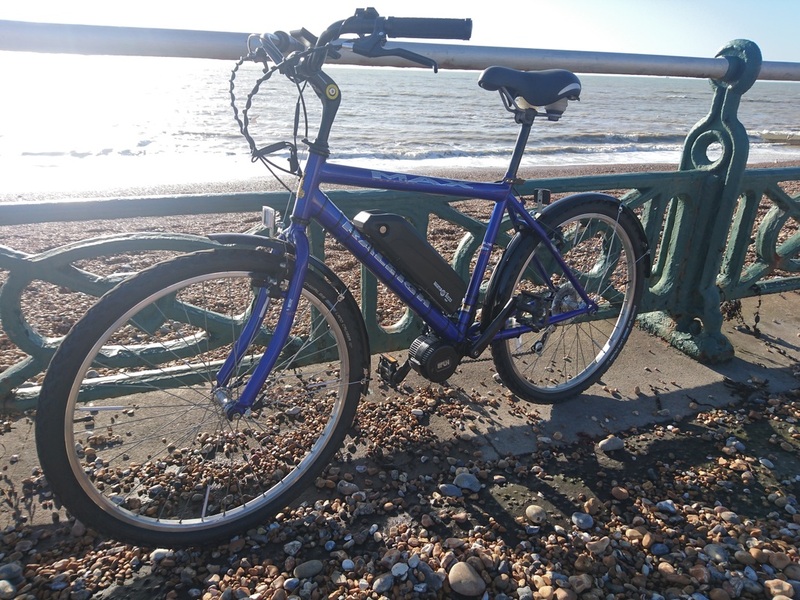 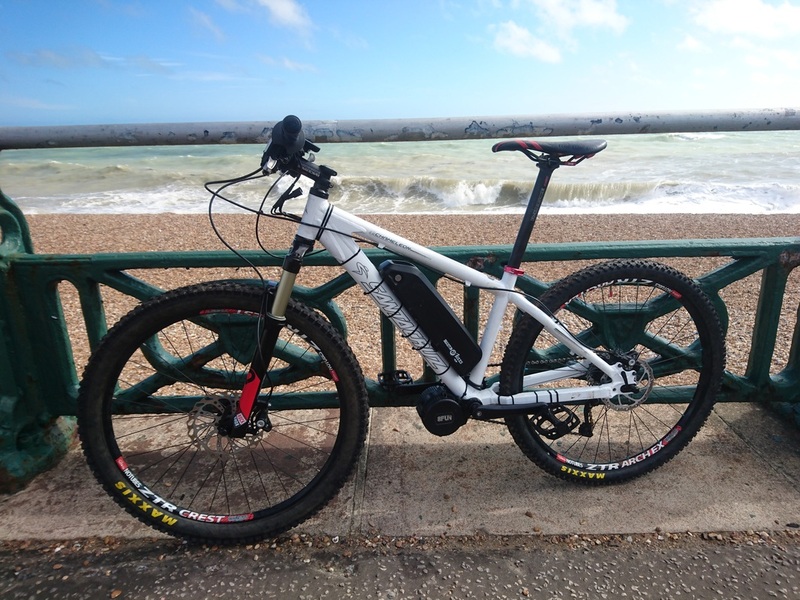 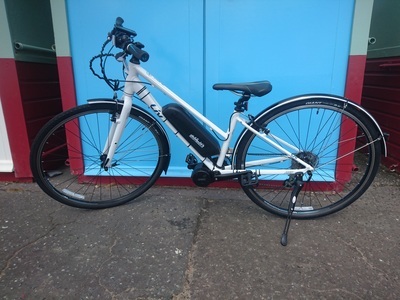 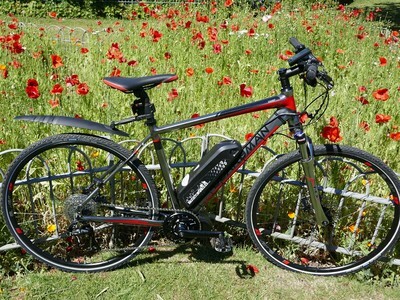 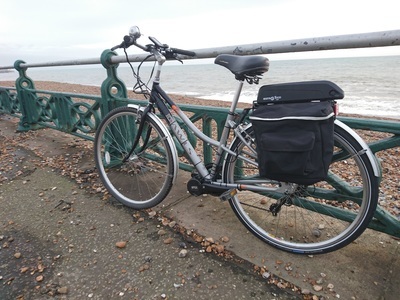 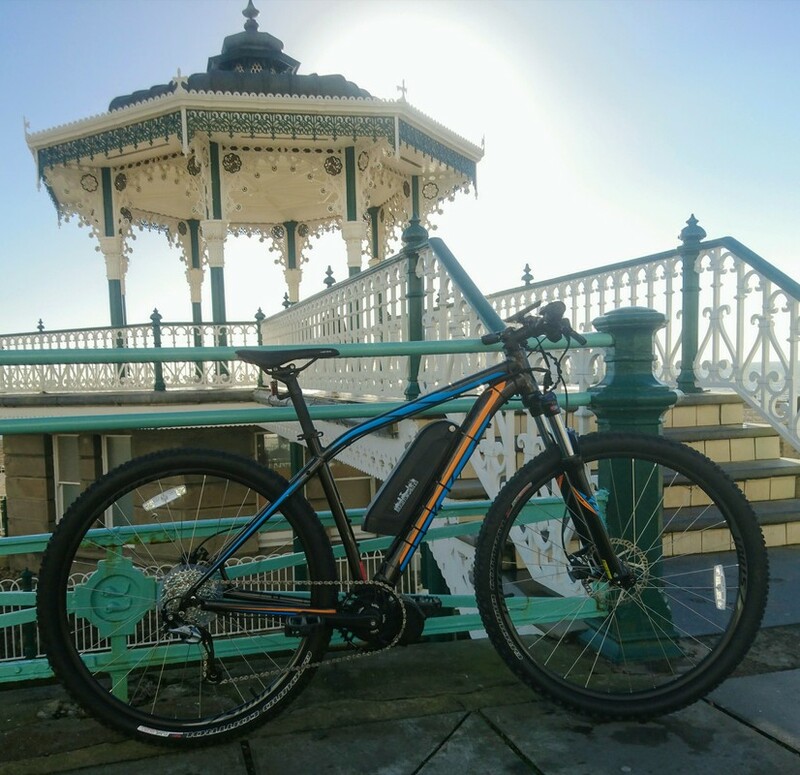 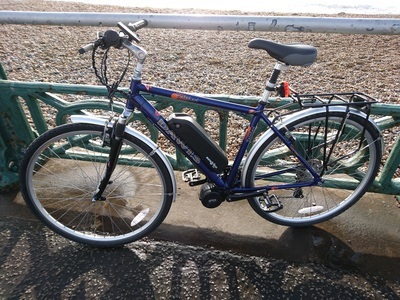 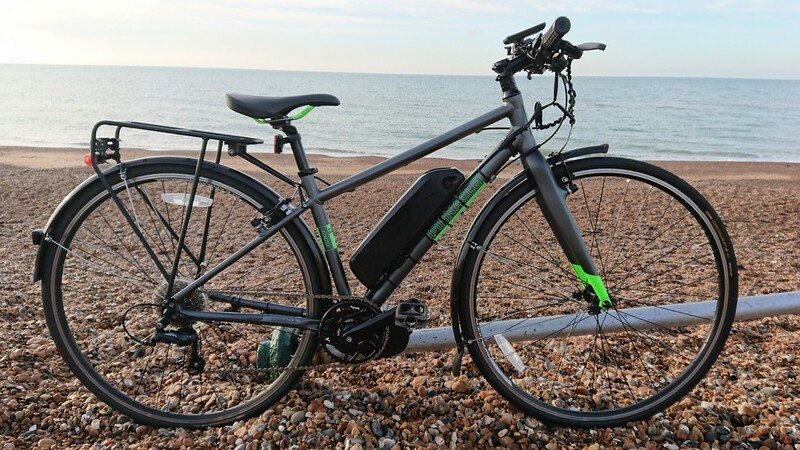 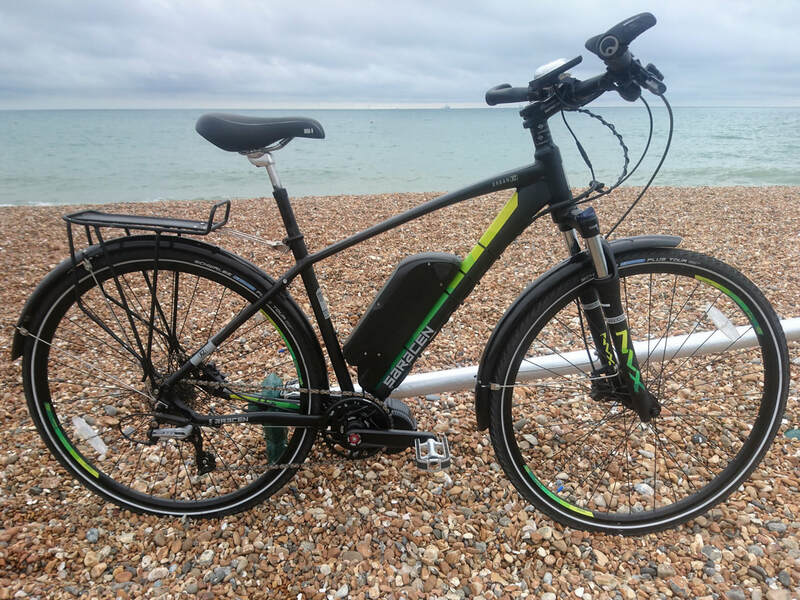 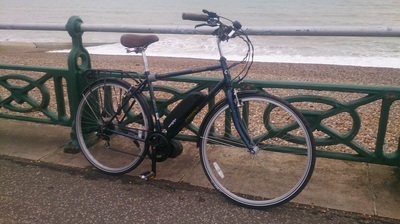 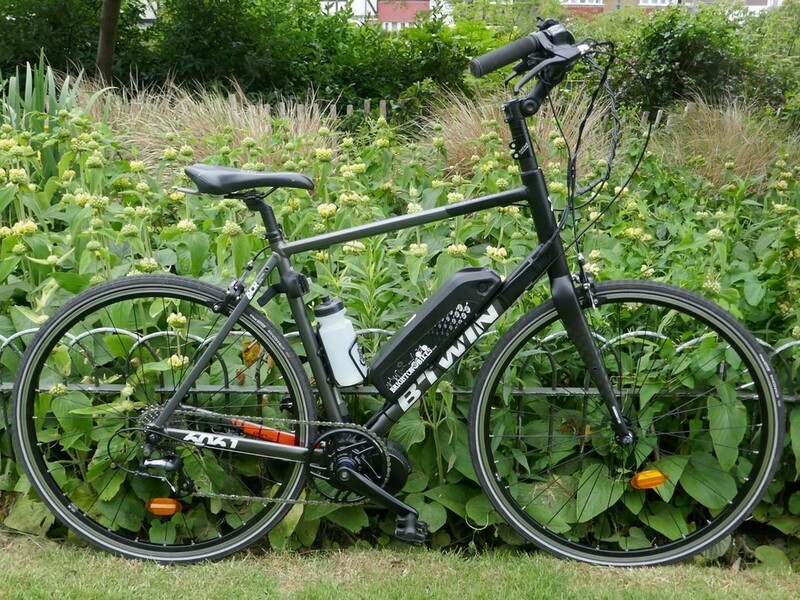 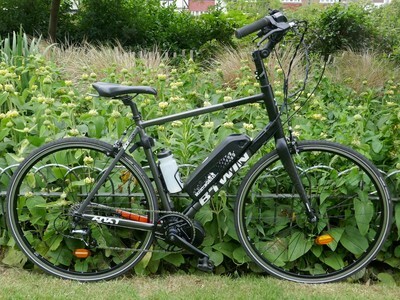 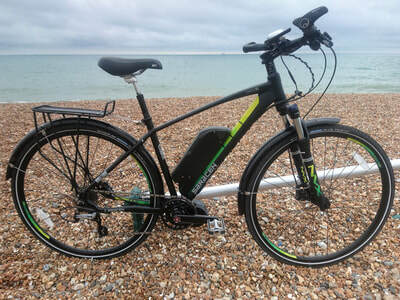 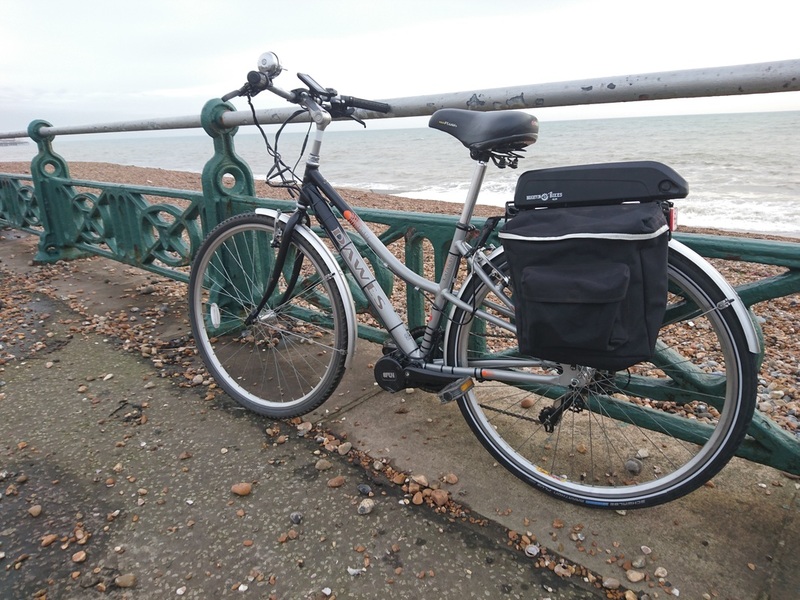 Radford ladies town bike fitted with Bafang BBS01 250W mid-drive motor and Brighton E-bikes 10.4Ah Samsung cell battery. 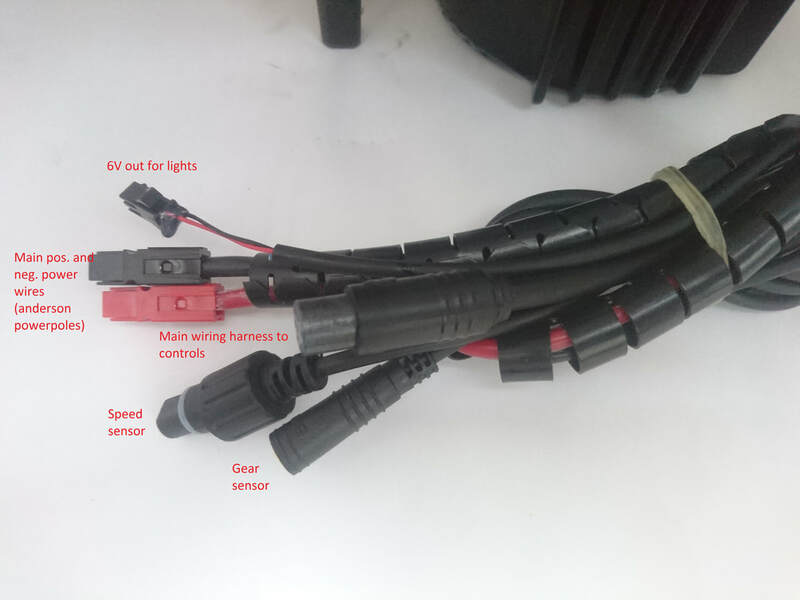 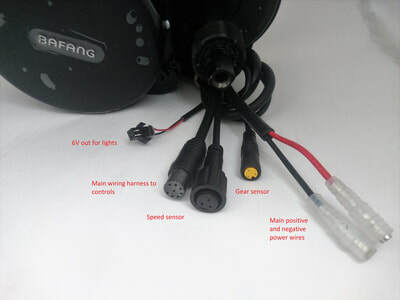 Battery wiring. Connections soldered and covered with heat shrink between battery and motor. 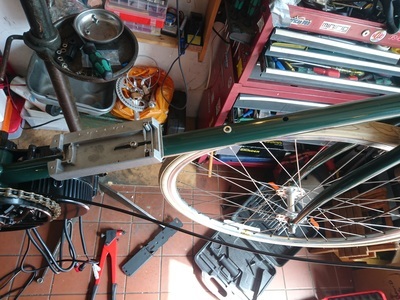 Setting extra rivet nuts is a frame's downtube to ensure battery fitting is secure. 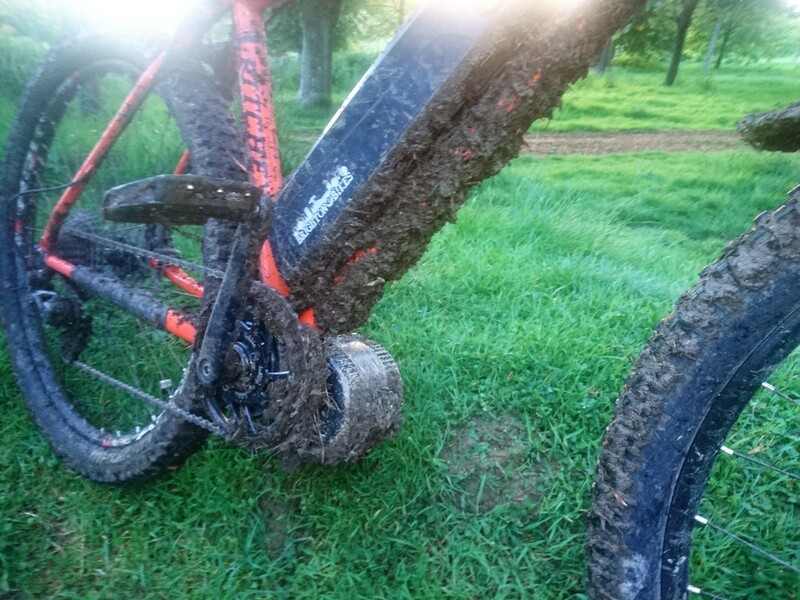 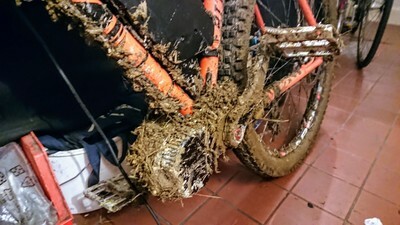 Good old South Downs' mud. 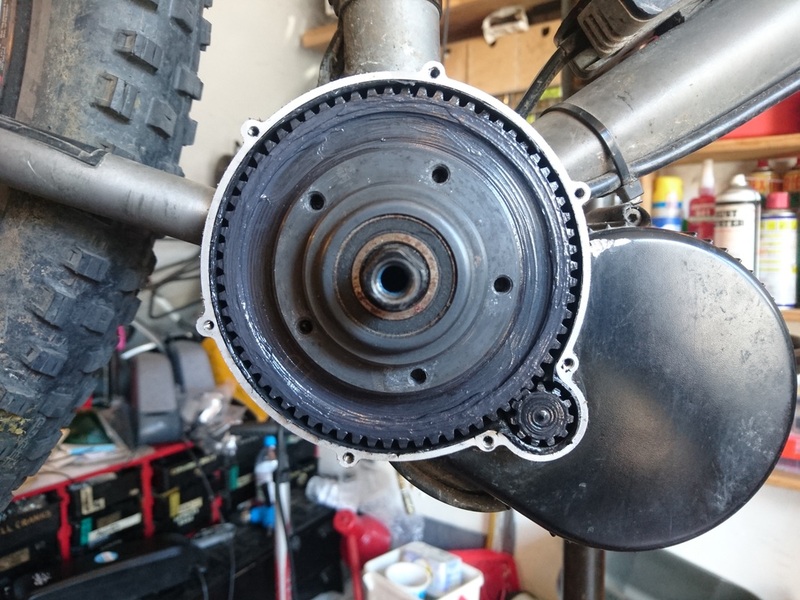 Side view beneath final drive/secondary reduction gear cover on the drive side of Final drive of BBS01 motor at a 3000 mile health check. 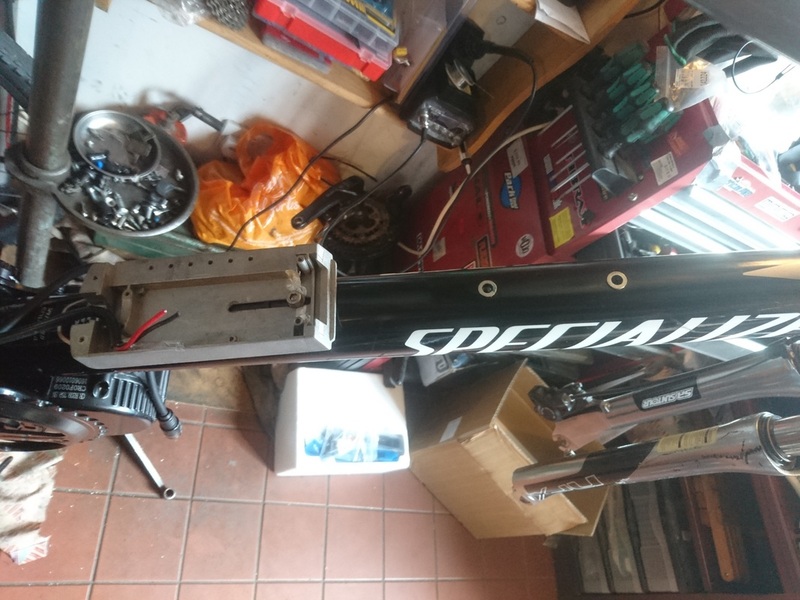 Two additional rivnuts being fitted to the downtube of a Specialized bike. 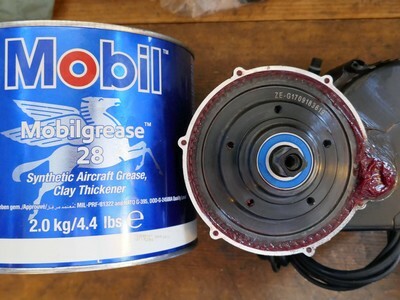 Mobilgrease28 added to final drive. We do this to every motor we see to help reduce tooth wear. Ritchey Timberwolf fitted with Bafang BBS01B 250W mid-drive motor and Brighton E-bikes 11.6Ah top-release Samsung cell battery. 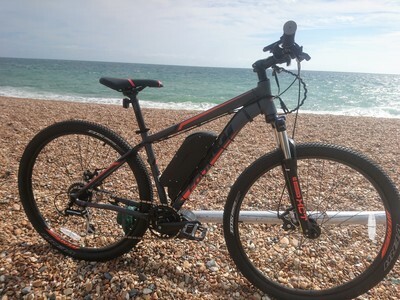 Specialized Globe Haul 01 fitted with Bafang BBS01B 250W mid-drive motor and Brighton E-bikes 11.6Ah top-release Samsung cell battery. 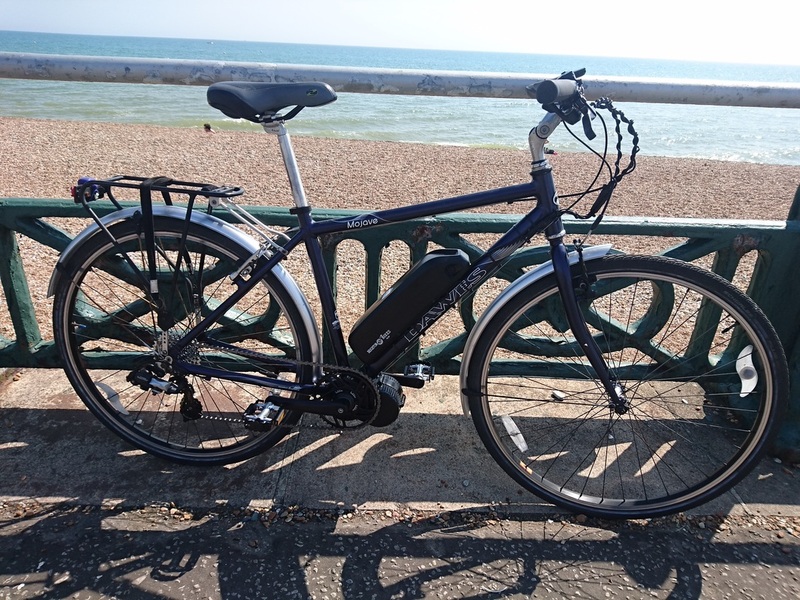 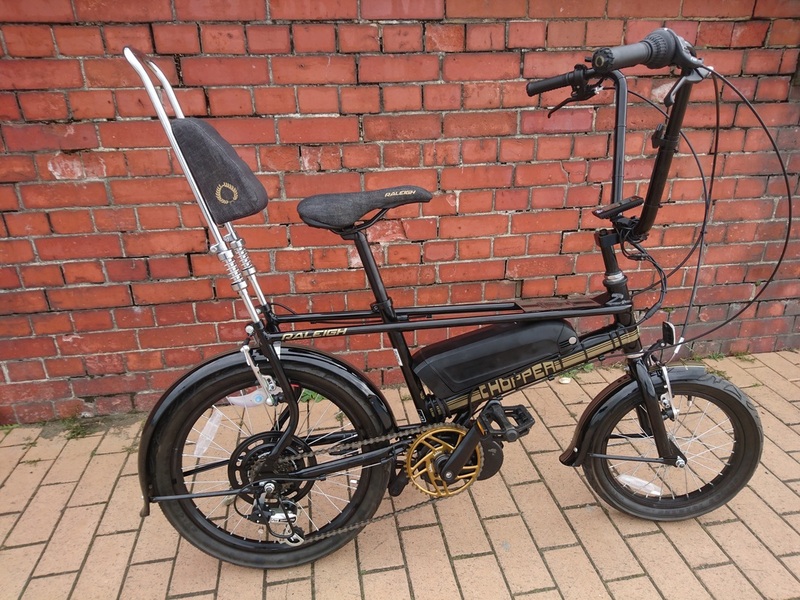 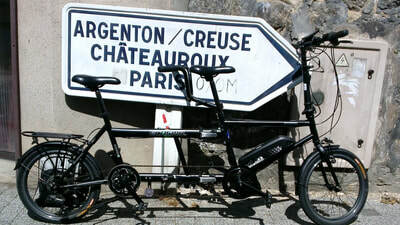 Dahon Cadenza fitted with Bafang BBS01B 250W mid-drive motor and Brighton E-bikes 11.6Ah top-release Samsung cell battery. 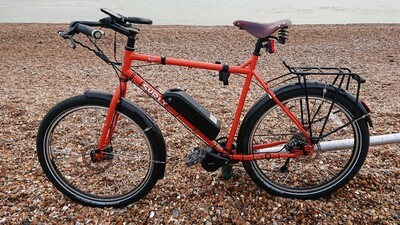 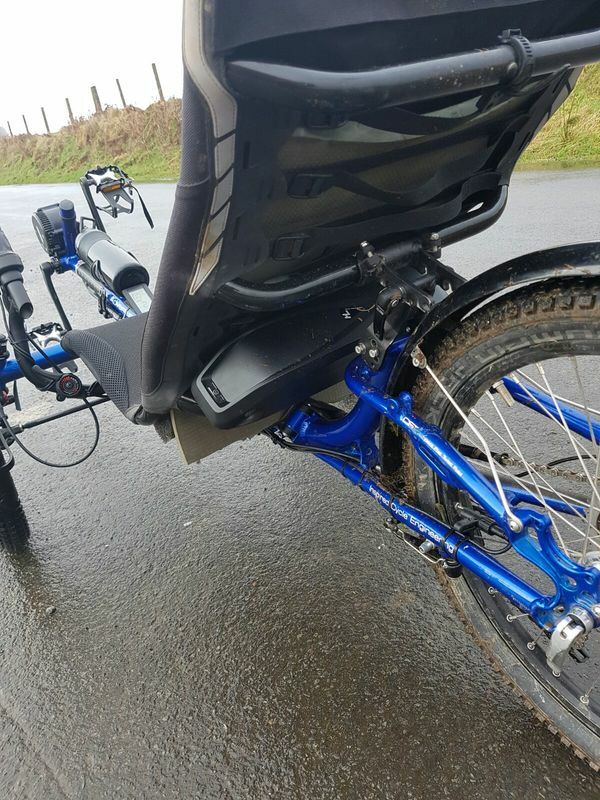 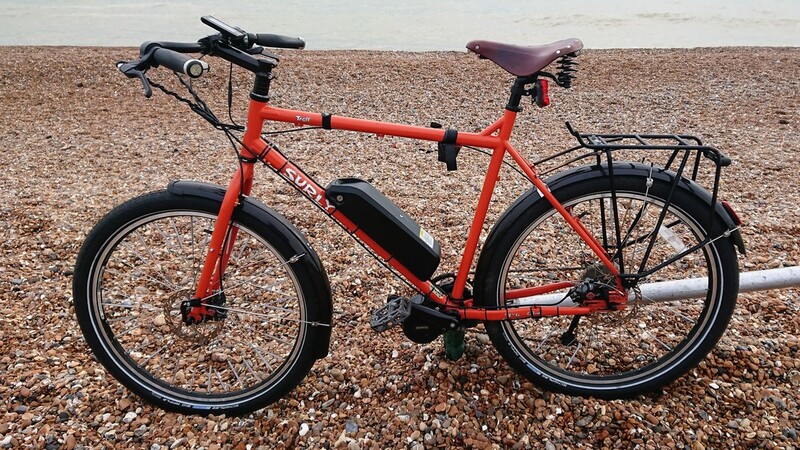 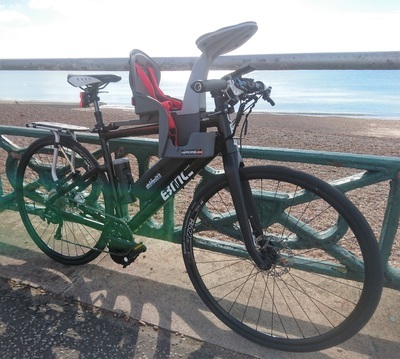 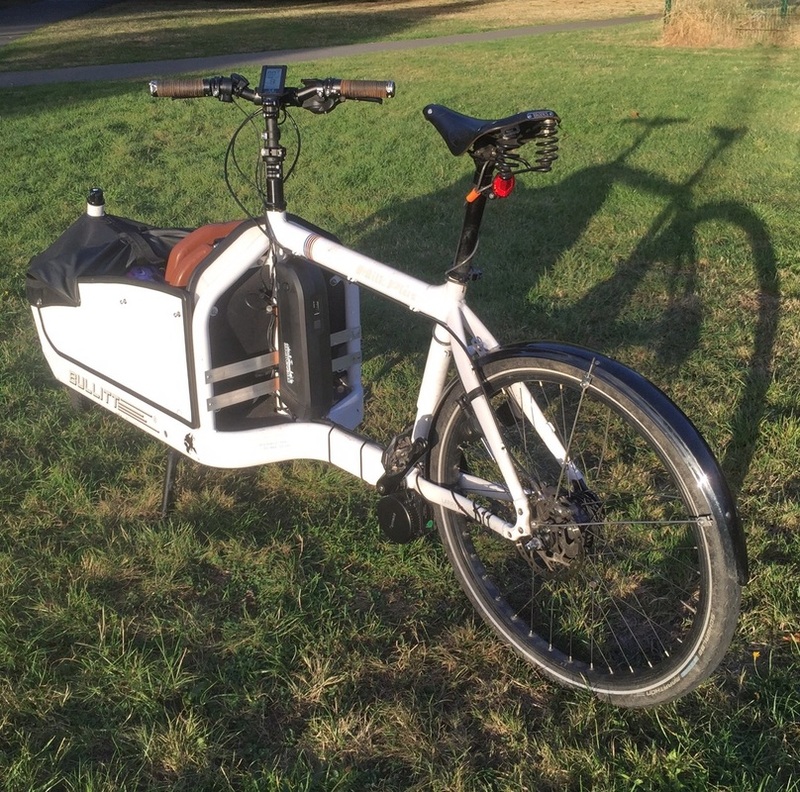 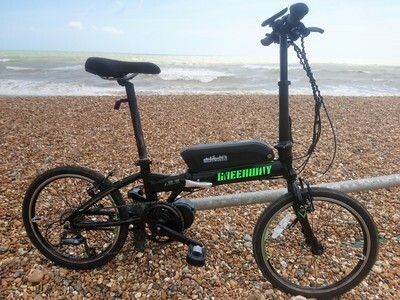 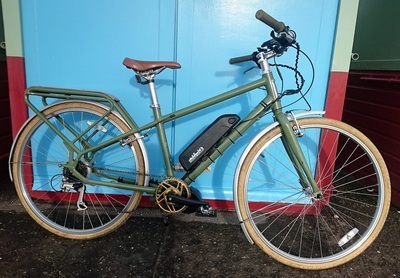 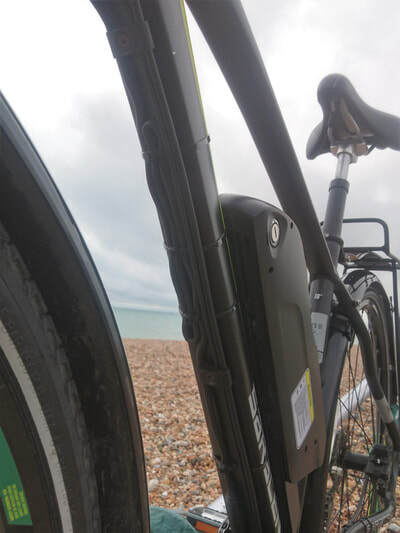 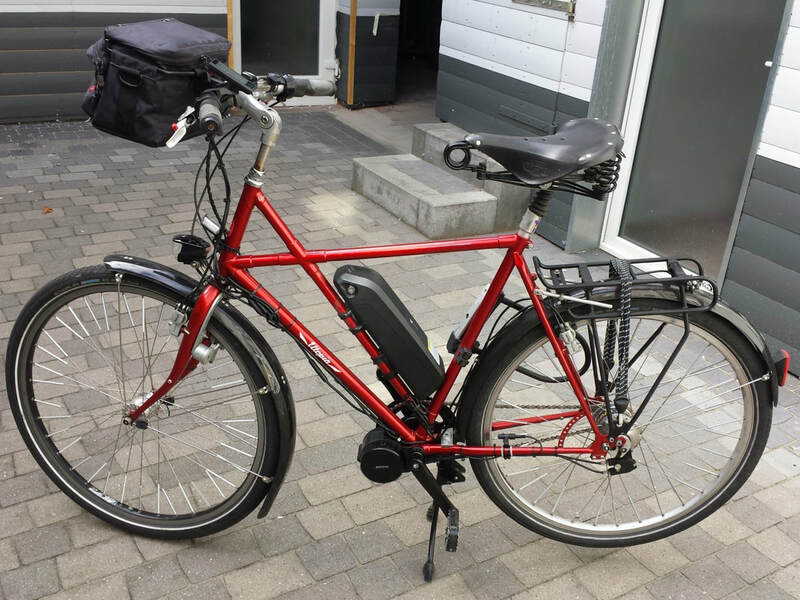 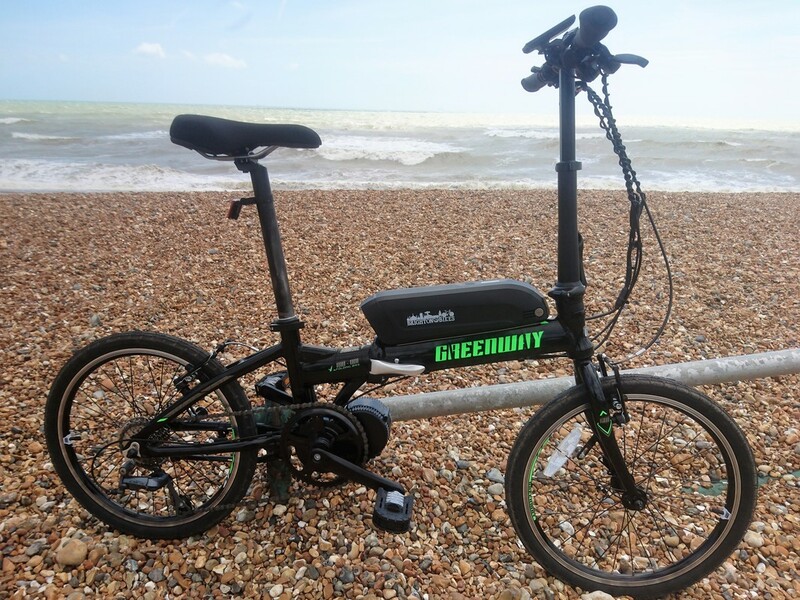 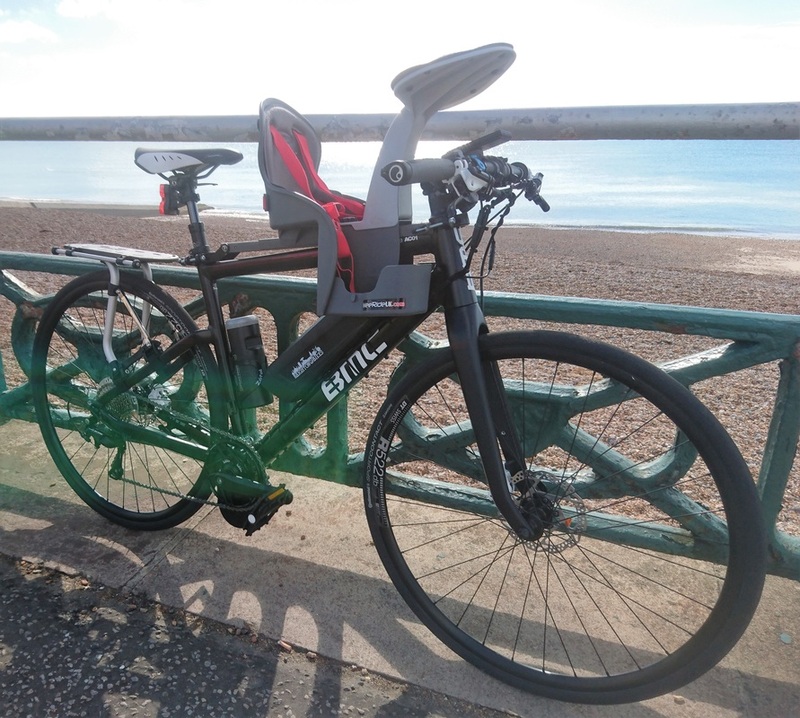 Birdy folder fitted with Bafang BBS01B 250W mid-drive motor and Brighton E-bikes 11.6Ah side-release Samsung cell battery. Specialized Rockhopper Comp fitted with Bafang BBS01B 250W mid-drive motor and Brighton E-bikes 11.6Ah top-release Samsung cell battery. 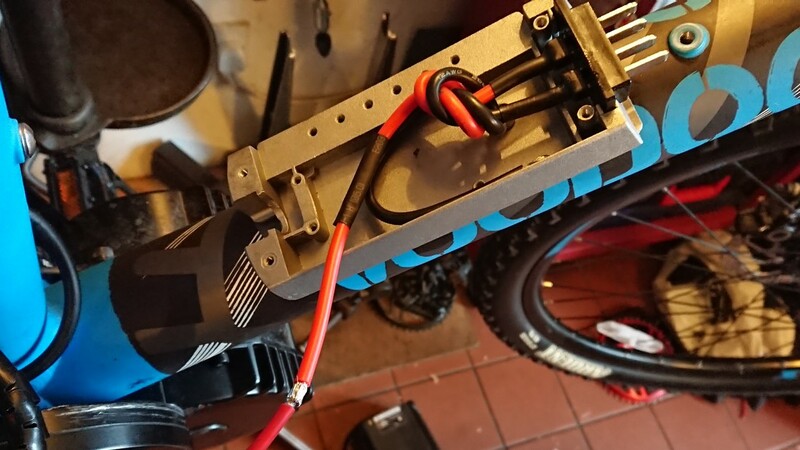 Directly soldered with heat shrink is generally out preference. 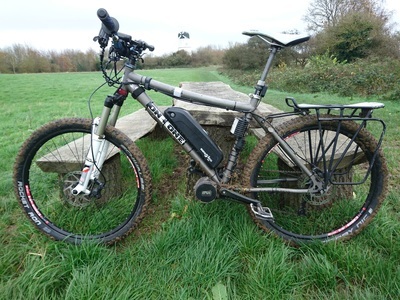 Muddy Ritchey Timberwolf following a ride around Stanmer Park, Brighton. Transmission set up on Pinnacle Cobalt 4 with 46 tooth Lekkie ring and gearsensor.